Rayon is made from cellulose of wood pulp or cotton and hence, is of low cost and provides comfort as well. For many centuries, mankind is depending upon plants and animals to get the raw materials for textiles and clothing. It includes silkworms, beaver, sheep, deer, buffalo, and even the palm leaves. However, in the later part scientist have turned to technology in order to create and craft new textiles from other alternatives. In the early 1860s, the French silk industry was threatened with a disease affecting silkworms. Some scientists were studying this problem and hope to save this vital industry. During their findings a way got developed to produce artificial silk (rayon). Then, in 1885 the first successful process to make fiber from cellulose was patented by Chardonnet. Thereafter many other scientists have developed more effective ways to make rayon; Chardonnet is still awarded as the father of rayon. For the next fifty years, this product was actually not known as rayon; rather the name artificial or imitation silk was more popular. At the end of 1925 it had been developed into a huge industry and hence, was given the name rayon fabrics by the FTC i.e. Federal Trade Commission. Today the term rayon includes all the man-made fibers which are made with cellulose. However, in 1952, the FTC divided rayon’s in two categories: those fibers which contain pure cellulose i.e. rayon and those made with cellulose compound i.e. acetate. Till 1950s, most of the rayon product was used in the industrial purpose and for home furnishing rather than in apparels, because basic rayon also known as viscose rayon fibers were literally too weak compared to other forms of fibers used in apparels. In 1955, manufacturers then began to make a new kind of rayon using high-wet-modulus technique. This HWM rayon’s was somewhat stronger and could be easily used in successful making of sheets, apparels and towels. The arrival of HWM rayon also known as modified rayon is still considered the most vital invention in rayon production since its development from 1880s. 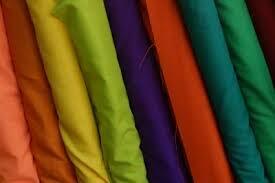 Today rayon is the most widely and popularly used fabrics in our society. It is manufactured in many countries around the globe. Rayon characteristic is blended with some natural or man-made other fabrics for the enhancements of textiles and even engineered precisely to get a variety of functions. Hence, this is the background and a glimpse of rayon fabrics, whose basic building material is cellulose.